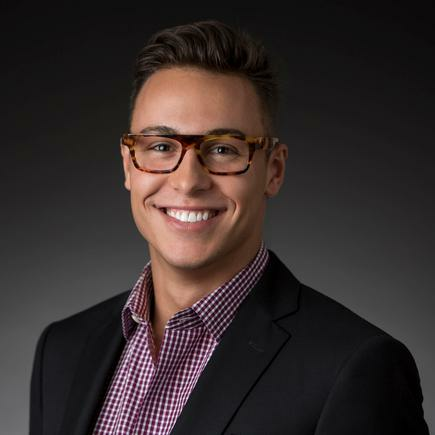 At G2 Crowd, Bonnici steps into his first official role as a CMO, despite serving as a senior marketing leader for more than a decade across Australia and Asia-Pacific, developing sales and marketing programs for companies including HubSpot, Salesforce, Microsoft and ExactTarget. In his most recent position as senior director of global marketing for HubSpot, Bonnici helped create triple digit-growth for the company’s marketing-generated sales revenue. “For the first eight years, I was always based in Asia-Pacific and around that whole region. When I was at Salesforce, and even at HubSpot, I ran the end-to-end marketing funnel for those core markets and many offices in those markets,” Bonnici told CMO. In his new role at G2 Crowd, Bonnici will serve a key role as a member of the executive team, focused on strengthening the company’s positioning in the B2B reviews marketplace. Specifically, he will oversee all planning, development and execution of the company’s marketing programs, with special focus on growing G2 Crowd’s brand. He will also be focusing on achieving aggressive growth targets and evangelising the company’s efforts to revolutionise B2B buying. “I’m crazy excited about building on the brand that the team has built so far. They have built a really strong foundation and are passionate about helping more people in the world learn and understand that the software industry is being democratised,” he said, explaining consumers no longer need to go through the arduous task of traditional software buying. “I’m really passionate about the transparency the G2 Crowd brings to software buying." Through his past experience - and expertise in consumer, enterprise, B2B, marketing, sales (and even blogging) - Bonnici said he has amassed first-hand knowledge on what CMOs and CIOs grapple with in terms of software purchases. One of this first priorities in the new role will be generating content. “We have an exciting opportunity to actually look at the content that we’re putting out there to educate people on our advocacy marketing work and our referral marketing work. I’m excited to start working with my new team and to build up more content," he said. According to G2 Crowd co-founder and CEO, Tim Handorf, the company is at an exciting point in its growth curve, and looking to build on its record expansion in 2017 with more rapid increases in 2018. Coming off a milestone year, the CMO appointment follows a successful series B funding round of $30 million, led by Accel, with participation from LinkedIn. In addition to the team growth, G2 Crowd expanded beyond business products into services. “Having exceeded a quarter of a million reviews in less than five years, we are accelerating faster than many predicted. With growth comes a need to maintain a laser-focus on how we build our brand. Our vision is for G2 Crowd to be an industry standard for B2B buying and a dynamic marketing strategy is a foundational pillar to achieving that goal,” Handorf said.